Serene and secluded living on ½ acre now available in the heart of Kennydale! 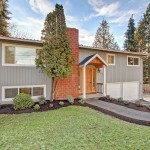 Super convenient location minutes to Boeing, freeway, parks and shopping. This beautifully updated rambler has 3 bedrooms and 1.75 bathroom, including master suite w ensuite bathroom. 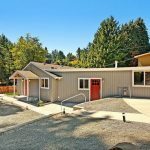 Featuring NEW roof, doors/millwork, windows, deck, 2-car carport, furnace, hot water heater, all NEW plumbing, electrical, insulation, flooring, paint and more!! Kitchen has new cabinets, quartz countertops and stainless steel appliances. Charming Shoreline rambler now available! 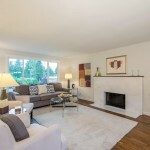 Open living space welcomes you with beautiful hardwoods, fireplace & abundance of natural light! Kitchen features shaker cabinets, quartz countertops, tile backsplash & ss appliances. Master suite w ensuite bathroom and walk-in closet. Three additional bedrooms, full bathroom and large family room. Large mudroom with utility space includes washer/dryer. Ample off street parking, fenced yard and nestled in cul-de-sac. Nestled between the lovely Lake Sawyer and the luscious greens of Druid's Glen Golf Course, lies this remarkable, completely remodeled rambler. The stunning kitchen boasts new quartz counters and an island with a 5-seat eating-bar, plus new cabinets, appliances, under-mount sink, and subway tile backsplash. The bathroom has modern fixtures, new vanity, and stylish tiling around the tub. This home also features a new, 30-year roof. Only minutes from shopping, coffee, and Sawyer Woods Elementary. 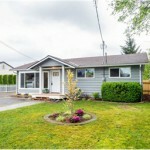 Charming 3 bed, 1 bath starter home in a desirable Lynnwood location. 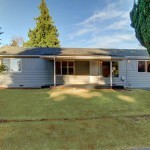 This fully remodeled home features a completely remodeled kitchen with all new stainless appliances, quartz counters and tile backsplash, all new paint, carpet, lighting and laminate flooring, a spacious laundry room, large bathroom with new fixtures, and a new hot water heater. The backyard is flat, extra large and fully fenced with a spacious, 2-room storage building. This home is perfect for a new and growing family and won't last long! 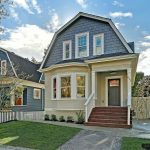 This gorgeous fully-remodeled 3 bed, 1 bath home packs a lot of living space into 989 sq. ft. The home features a fabulous great room concept with brand new gourmet kitchen, white cabinets, solid stone counters, designer tile accents, island w/eating bar, stainless appliances, new heat, new bath & tile accents, new electrical panel & wiring. Beautiful refinished exposed hardwood floors, new vinyl windows, carport & shop with a large, flat, fenced backyard. Generous off street RV/Boat parking. Located just minutes to Boeing. This is a great house for a new family or mature couple and won't last long! 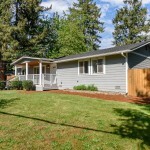 Stunning, fully remodeled split-level home in a great Lynnwood location! This 4 bed, 2.25 bath, 1680 sq. 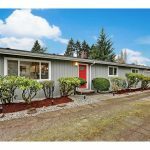 ft is located minutes from Alderwood Mall, I-5 and central Lynnwood. It features new cabinets, quartz countertops, tile back-splash, new stainless appliances, hardwood floors throughout the top story, an extra-large fully-fenced back yard, all new electrical wiring and fixtures, and a large deck. This home will speak to you from the moment you enter. 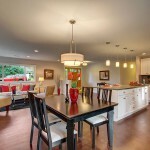 Come by and let us show you what a remodeled home can be!